David Kennedy has spent more time flying over ancient ruins in Jordan than browsing the aisles of his local supermarket. Professor Kennedy is a Roman Archaeologist specialising in the Near East and aerial archaeology, carrying out a program of annual flights over Jordan since 1997, after pursuing the idea for almost 20 years. He has worked in Turkey (at Zeugma on the Euphrates) but mainly in Jordan. He has interests in the Roman military and in settlement history. Prof. Kennedy is a Fellow of the Society of Antiquaries and of the Australian Academy of the Humanities. He has twice been elected to Membership of The Institute for Advanced Study at Princeton and held a Seeger Fellowship at Princeton University. In 2003 he was awarded a Centenary Medal. 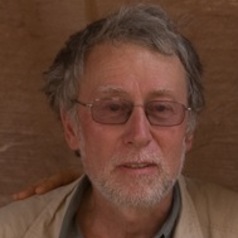 He is the author/ editor of several books, most recently (with R Bewley, Director of Operations for the Heritage Lottery Fund, UK) Ancient Jordan from the Air (London, CBRL; 2004) and Gerasa and the Decapolis. A Virtual Island in Northwest Jordan (London, Duckworth; 2007).